I have a special treat for you guys today. Way back in 1963, my friend Tonio's mother went to a book signing at our local bookshop here in San Antonio and met one Mr. Garth Williams. She took along a copy of Tonio's favorite book The Tall Book of Make-Believe, thus making this Tonio's most treasured childhood heirloom. In my five years of buying and looking and learning, no other out-of-print children's book is more loved or more collectible. Not just as a signed first edition in mint condition, but even beat up reprints go for a ton. Not because people want to collect it and put it in plastic on a shelf, but because people want to read it and remember. Several years ago, I mentioned to Tonio that this book was my thrift shop holy grail, and he said, "Oh, I have that book. And it's signed, too." Thus how I was finally able to see what all the fuss was about. Now, I did have this book when I was little, but it's long since gone and was long forgotten. But... man. What I would love to see is Harper reprint this, not is some cheap glossy-paged reprint, but in soft, matte pages exactly like the original. The look. The feel. Everything about this book makes you want to pick it up and pour over it again and again. The stunning pictures and quirky poems and stories. Man. If that happened, I'd buy one for every single person I know. Period. Every picture has a secret, mysterious feel. And that mermaid. WOW. It's simply amazing. Every page. Every word. Carl Sandburg's How They Bring Back the Village of Cream Puffs When the Wind Blows It Away. Seriously? Brilliant. There are not enough thumbs in the world to express this book's thumbs up power. Garth Williams was a genius. Nearly 100 pages of absolute joy. I've only included a handful of scans, but you get the idea. If you happen to come across this book, hold onto it for dear life. This was one of my favorite books of childhood...my sister's too 'cause she has our copy. ;) It was so magical! I too wish they would reprint it. Every child should have the chance to hold this one! Oh my goodness! I have a copy of this book(not the best condition. )I've kept it since my childhood. The illustrations have always intrigued me.I'm going to read it today and treasure it even more.Thanks for the post! Love, love, love this book and all the tall books. The story Bad Mousie amazes me. Could such a story ever be published today? I doubt it. Its message--naughty mousies (i. e. kids) are banished unless they behave--is frightening beyond belief. Still, I loved this story as a kid and read it again and again. Thanks so much for sharing this. I've never seen it before. Garth Williams amazes me. I wonder if some of the stories are not considered appropriate today. I think children's literature is far too sanitized nowadays. I've never met an inappropriate children's book yet that I couldn't talk my son around. As a matter of fact, it often opens up conversations that we would otherwise never have. Children are not what they read alone. The world is far too big and varied, the past just as important as the present and future. But then again, that's just me. This was my mom's favorite childhood book and later my favorite book and now one of my kid's favs. There was a excellent quality reprint in the late 80's early 90's and that's the one my kids read (my mom's copy is worn to a nub). The reprint was virtually identical to the original. I blogged about this book a few years ago and hardly a week goes by without someone emailing and asking where to find a copy. The publishers should definitely figure this one out. Burgin, I am FREAKING OUT. FREAKING OUT! You made my day. You made my week, month, year. I MUST HAVE THIS BOOK! I am going to write about this post and link to you on my Friday Cool Stuff List. OMG. 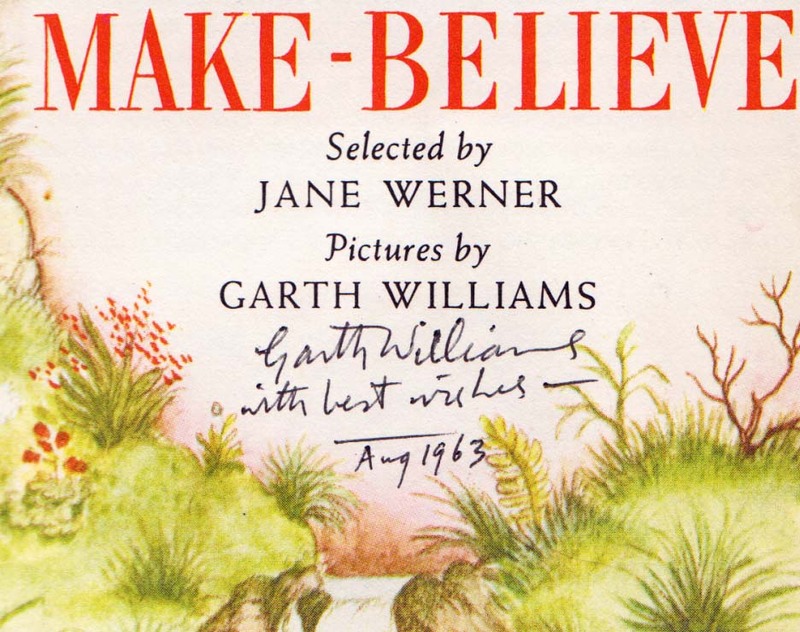 Garth Williams is my top fav illustrator, along with Gyo Fujikawa. I literally gasped when I saw the mermaid! p.s. for the person that doesn't think it's appropriate for kids today. My own experience is that kids love stories that have a little edge. If I had to name my kids favorite books each of them—Tall Book of Make Believe, The Three Robbers, Rotten Island, Where the Wild Things Are—has an edge. It's the edge that the kids love. Why oh why is this out of print?? Agree 100% about what kids can handle! So nice to encounter like-minded folks! 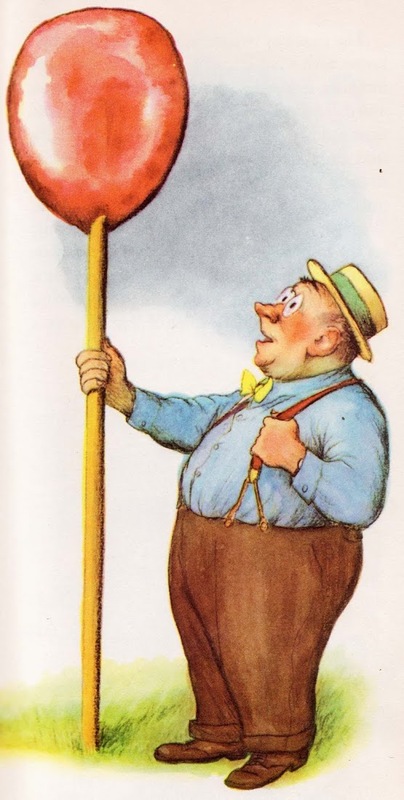 And let us not forget its worthy companions, The Tall Book of Mother Goose and The Tall Book of Nursery Tales, illustrated by the inimitable Rojankovsky. The Tall Book of Christmas was reprinted just a few years ago so perhaps there is hope. I am in love with this book! It looks so wonderful! Please add my name to the great Monday give for this. I have a copy of the re-issued Tall Book of Christmas that I bought on an impulse a couple years back, and didn't remember until I was reading it with my son that it was one of my childhood books. so much fun! thanks for sharing this! Thank you for this. I loved reading this book at a friend's house. I still want my own copy. I have loved this book since childhood and still have my well worn copy as well as a later addition. Garth Williams' illustrations are enchanting, and I spent many hours pouring over the pictures and stories. They still hold the same magic as they did decades ago. I'm happy that so many others treasure this book as much as I do. It is definitely past time for this wonderful book to be published again! I can't believe you have found my book! I have been looking for this book but never knew the title. Even tho the cover was gone & beat up it was my favorite book as a kid before I could read. 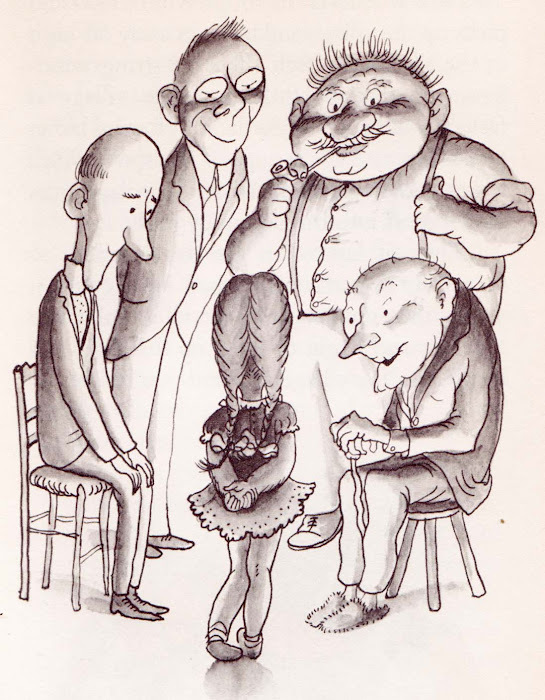 The illustrations stimulated my mind & I think contributed my wish to become an artist. I have been scouring the internet trying to find out what the title was. Thank you for sharing this. Oh,oh,oh! This was my favorite book when I was little and my bad mom gave it away. 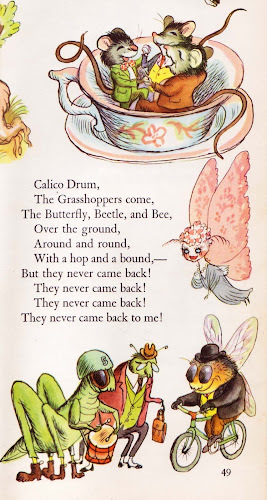 I adored the illustrations and hold Garth Williams in a special place in my heart. The illustrations just spoke so deeply to me, I would just look at each picture and find so much to enjoy. Seeing some of those pictures again brought such happy memories back. They MUST reissue this book. This is the most wonderful children's book ever. And you are correct. It SHOULD be reissued, exactly as it was. The artwork alone is stunning. There is nothing else like it. My aunt wanted to buy me a copy for my soon to arrive son/daughter (this was her favorite book as a child) and reported back that the prices were ranging from $600 to over $1000!! Fortunately, I still have a copy from when I was a child and my mom reads it regularly to my niece who loves it as much as I did. I'm thrilled that we still have it and I will be able to share it with my own children! Amazing that they aren't reprinting with such a CLEARLY high demand for this fantastic collection. Hurray! My sister just emailed me that she had found "our tall book" on Pinterest. It directed me to this blog. We have missed this book for sooo many years. We grew up in the '50's with this wonderful book. She even tried to buy one for me on Amazon but too expensive for our pocketbooks. This is the second best....to scroll down the pages and remember...thank you. I still have my book! It is what I would take out of my house if there was a fire (besides my husband and cats). My mom bought it for me when I was 5. My grown kids loved it and now my grandkids love it too. It is a real treasure. I think the illustrations by Garth Williams are the key! Good for you if you have a copy or can get your hands one one!!!! This was my favourite book as a child - I spent hours copying the drawings and I think this sparked my interest in art. I love the quirky poems and stories. I lent it to a child at school and never got it back. I bought another copy through via the internet five years ago - it still holds its magic. Wonderful book. Thanks so much for sharing this book. It was so lovely looking at the pictures again. This was a favorite from my childhood too, and my favorite story was Bad Mousie. I loved it as a child and loved telling the story to my kids, too, long after the book was gone. I grew up with this book, and still have my treasured copy. It was, and always will be, the most special book to me. All of your reviews...spot on. From the illustrations to the creative stories and poetry...unequaled. My grandmother gave this book to us when I was young. My sister mow has the original, but she gave me a copy of the reprint done some years later. It is my favorite children's book, and I so wish it would be reprinted once more so I could make sure my two children each had a copy. The stories and illustrations are magical - but I loved Mr. Gloams' place and the Moon Song drawings the very best. Who knows what happened to my book, but, oh, I recognized all the characters on the pages you posted....I don't even need the book to become enthralled with them again, You made my day - 66 years old, still want my bedtime stories. Thanks again. Damn, I thought you were showing this post again because the book was being reprinted. Its actually the first post I read on your blog a few years ago. On that day I kept browsing and then for months afterwards was looking again for the post with the pictures on long pages. Embarrassingly, I couldn't remember the title. Anyways, its nice to see it again, even if only on a screen. My grandmother used to read this book to me. I still have the book but sadly the front cover fell off years ago and I think it got thrown away. Glad I have the rest of it though. I must and will have this book. I LOVED this book as a kid, but my mom gave mine away, and I've been looking for it for ages and ages. I couldn't even remember the name until today. I remember being surprised, even then, that some of the stories even in a book for kids--so trippy! And truly awesome. Hi guys. i recently picked this book up in a charity/thrift shop near to my house here in the uk. I dont know why but something told me to buy it. It seems i may have stumbled on a little treasure!? My grandmother read this book to my mother. My mother read it to me, and now I read it to my daughters. They love to speculate about how the gingham dog and calico cat both disappeared and about what they would do with a lollipop that grew everyday.